ADHD or Attention Deficit Hyperactivity Disorder is a condition that Indian parents are becoming all too familiar with — after all, it affects an estimated 11-12% of all primary school children! However, ADHD research in India has plenty of catching up to do and because of the variables involved, the real rate of prevalence could be as high as 20%. A neurobehavioral disorder that most commonly affects children, ADHD sometimes persists into adulthood. The condition is characterized by hyperactivity, restlessness, inattention, lack of focus, and an inclination for impulsive or risk-taking behavior. This has serious consequences, adversely affecting education, relationships, financial prospects, and quality of life. While advances in pharmaceutical medication for ADHD have greatly improved patient outcomes, as many experts and studies indicate, ADHD medications do have serious limitations — these would include side effects that compromise both physical and psychological wellbeing. This has encouraged a shift towards behavioral therapy and natural ADHD treatments that reduce dependence on medication. To set the record straight, ADHD medications are not redundant or without benefits. Pharmaceutical drugs used to treat ADHD have a direct influence on levels of brain chemicals like norepinephrine and dopamine. Through this action they help to reduce behavior that gives rise to problems, such as hyperactivity, distraction, and impulsivity. This in itself has significant benefits as children with a higher degree of self control and focus are able to interact socially and academically with fewer problems. Despite these advantages there are some limitations and risks associated with ADHD treatment using medications. Stimulants that raise dopamine levels are among the most commonly used ADHD drugs, but long terms use is associated with significant side effects, including appetite loss, insomnia, tummy aches, headaches, mood changes, and increased risk of cardiovascular disease. In fact, the cardiovascular risk is significant enough for the U.S. Food and Drug Administration to recommend the inclusion of warning labels on stimulant drugs for ADHD. So, what is the solution? Nonstimulant drugs for ADHD have begun to emerge in recent decades as a viable and safer treatment for ADHD in children and adults, but more research is needed before more non stimulant drugs are approved for ADHD. In the meantime, parents can turn to behavioral therapy and natural treatments that show significant benefits without the side effects of stimulants. Of course, these non-medicated treatments may not be adequate when used alone, but they can significantly reduce dependence on medications, thereby lowering the risk of side effects. Behavioral therapy is a technique used in psychology to encourage positive behaviors, while discouraging disruptive behavior. This may seem like a no brainer, but it takes great effort and skill when dealing with children afflicted with ADHD. Clinical psychologists and behavioral therapists have the skills and expertise to help in such situations. Behavioral therapy is in fact so effective in dealing with ADHD that research is increasingly leaning in favor of behavior therapy as the primary mode of ADHD treatment. A study that appeared in the Journal of Clinical Child & Adolescent Psychology found that behavior therapy yielded better results than treatment with medication alone, with better and longer-lasting results, especially when therapy starts early. Unlike medications, which wear off or require higher dosages, behavior therapy allows the child to cope with ADHD throughout the day. As pointed out by several researchers, behavior therapy also reduces dosage requirements, making the combination treatment safer and more cost effective. Behavioral therapists can also make your job of parenting an ADHD child easier by providing training in individual or group sessions. This is extremely important as ADHD doesn’t just affect the child, but also the family. Training helps you better manage your child’s condition, as well as cope with the pressures of raising a kid with ADHD. Acupuncture is a system of complementary medicine in which an acupuncturist uses fine needles to alter the flow of energy through the body. Although there is no scientific validation for the fundamental concept itself, acupuncture has been proven to be efficacious in various situations. Some studies suggest that acupuncture may be a safe and effective therapy that can be used in combination with conventional ADHD drugs. 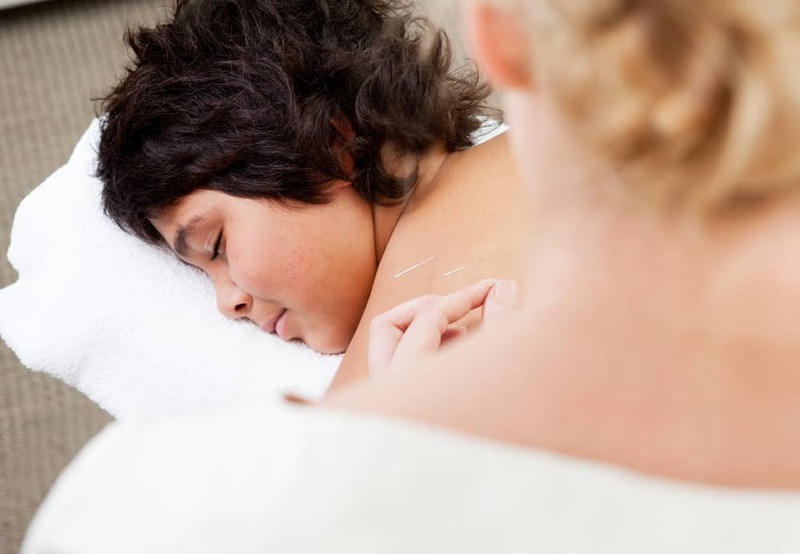 Keep in mind that most researchers regard current evidence as inadequate and more research is needed to support the use of acupuncture as a viable complementary therapy for ADHD. Herbs have long been explored as a potential source of phytochemicals and compounds that can be used to create safe and effective medications. Many of these herbs have been studied for their therapeutic benefits in the treatment of common mental health conditions like ADHD. While many herbs marketed as traditional cures for ADHD are ineffective, there are some herbs that have shown promise. Most notable of these is brahmi (Bacopa monniera), which has been used widely in Ayurveda to promote mental health. The herb has been shown to improve cognitive function and protect against degenerative brain diseases that develop with aging. Researchers at The University of Melbourne, Australia, found that those very same cognitive enhancing and adaptogenic effects of brahmi can help in the management of ADHD. Other herbs that show promise in ADHD treatment include the likes of ginkgo biloba and ginseng. German researchers found that ginkgo biloba provided relief from the main symptoms of ADHD, while some studies suggest that ginseng can reduce symptoms of inattention and hyperactivity. The importance of physical activity for general health and wellbeing is well-recognized, but most of us fail to recognize the great impact of physical fitness on mental health. Physical activity has been proven to have a positive effect on brain structure, also improving dopamine function. These changes bring about improvements in memory and learning ability. 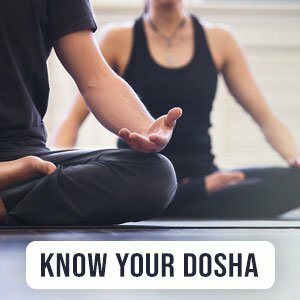 Not surprisingly, the benefits are even more pronounced in physical activities like martial arts and yoga, where there is an emphasis on self-control, concentration, and meditation. A review of various studies that was published last year supports the use of physical activities like yoga, tai chi, martial arts, mindfulness, and meditation as complementary therapies that can help reduce ADHD symptoms effectively. As pointed out by the researchers, mind–body therapies offer several benefits in terms of effectiveness, as well as costs and safety. Natural treatments for ADHD are likely to play an increasingly important role in the coming years, but it’s important that you keep your health care provider informed before trying out any alternative or complementary therapy. This minimizes the risk of possible drug interactions, especially when using herbs, and it allows your child’s doctor to recalibrate dosage requirements. When it comes to treatment options for your child, the final decision is yours, but it would be wise to trust in the expertise of specialists. Venkata, Jyothsna Akam, and Anuja S. Panicker. “Prevalence of Attention Deficit Hyperactivity Disorder in Primary School Children.” Indian Journal of Psychiatry 55.4 (2013): 338–342. PMC. Web. 18 July 2018. Nissen, Steven E. “ADHD Drugs and Cardiovascular Risk | NEJM.” New England Journal of Medicine, Oxford University Press, 20 Mar. 2006, www.nejm.org/doi/full/10.1056/NEJMp068049. Pelham, William E., et al. “Treatment Sequencing for Childhood ADHD: A Multiple-Randomization Study of Adaptive Medication and Behavioral Interventions.” Journal of Clinical Child & Adolescent Psychology, vol. 45, no. 4, 16 Feb. 2016, pp. 396–415., doi:10.1080/15374416.2015.1105138. Page, Timothy F, et al. “Comparative Cost Analysis of Sequential, Adaptive, Behavioral, Pharmacological, and Combined Treatments for Childhood ADHD.” Journal of Clinical Child & Adolescent Psychology, vol. 45, no. 4, 2016, pp. 416–427., doi:https://doi.org/10.1080/15374416.2015.1055859. XQ, Ni, et al. “A Meta-Analysis on Acupuncture Treatment of Attention Deficit/Hyperactivity Disorder.” Zhen Ci Yan Jiu = Acupuncture Research, vol. 4, no. 40, Aug. 2014, pp. 319–325., www.ncbi.nlm.nih.gov/pubmed/26502548. Sarris, Jerome, et al. “Complementary Medicines (Herbal and Nutritional Products) in the Treatment of Attention Deficit Hyperactivity Disorder (ADHD): A Systematic Review of the Evidence.” Complementary Therapies in Medicine, vol. 19, no. 4, 2011, pp. 216–227., doi:10.1016/j.ctim.2011.06.007. HJ, Ko, et al. “Ginkgo Biloba Extract EGb 761® in Children with ADHD.” Journal of Child and Adolescent Psychopharmacology, vol. 9, no. 24, Nov. 2014, pp. 501–508., doi:10.1089/cap.2014.0013. Herbert, Anne, and Anna Esparham. “Mind–Body Therapy for Children with Attention-Deficit/Hyperactivity Disorder.” Ed. Hilary McClafferty. Children 4.5 (2017): 31. PMC. Web. 18 July 2018.